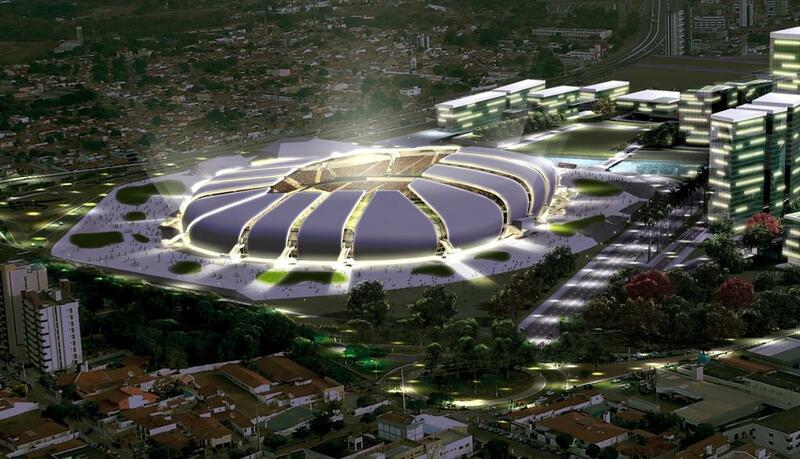 Initial concept was delivered by Populous architects. 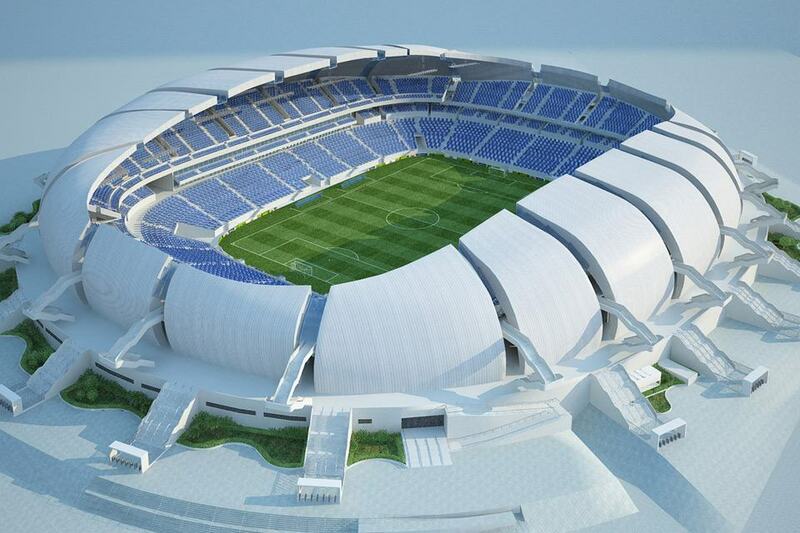 The stadium was to be divided into single sections of seating, each with its own cover. 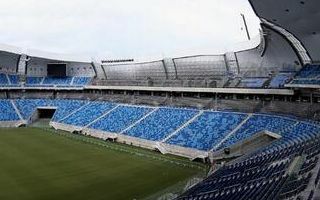 This composition was later dropped and though the stadium retained its outer shell very much, the interior became more unified. 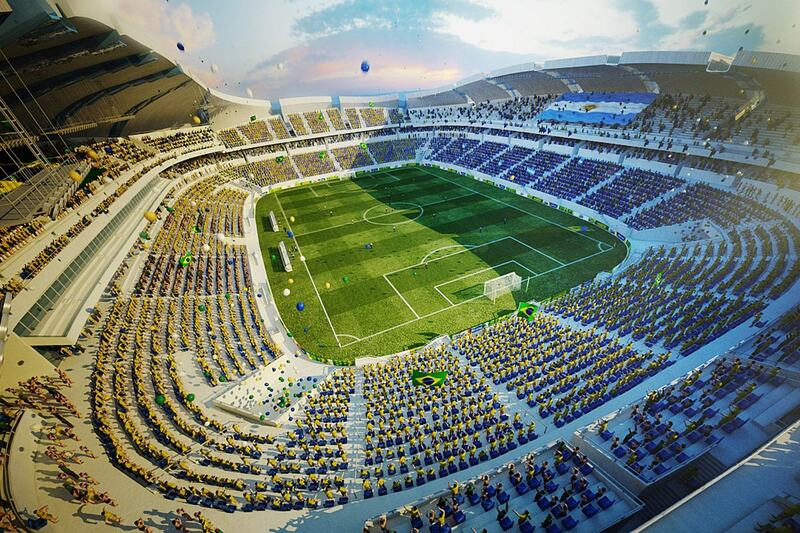 Stands along the pitch have two tiers divided by business seats, while end zones are single-tiered. 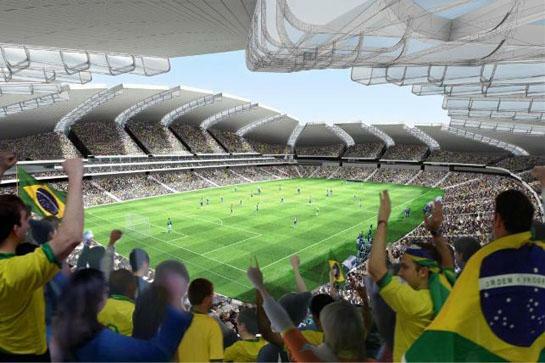 Only for the duration of 2014 World Cup temporary stands were planned, raising capacity from permanent 31,375 to 42,086. 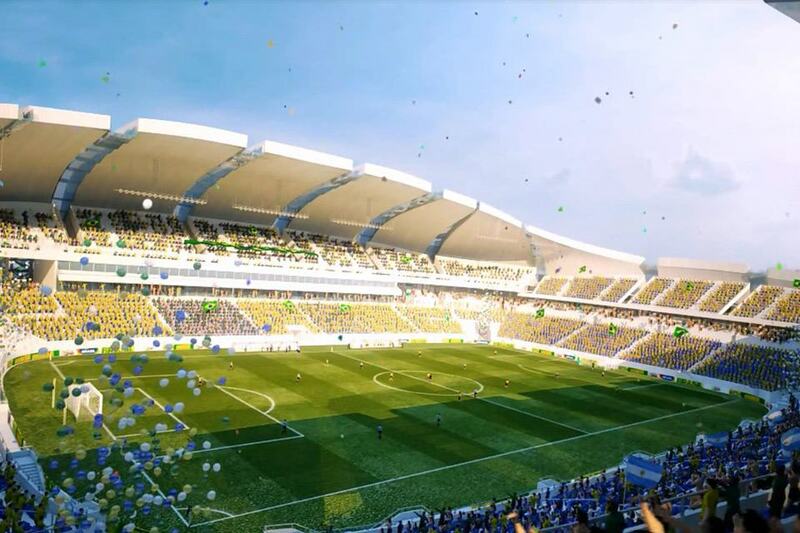 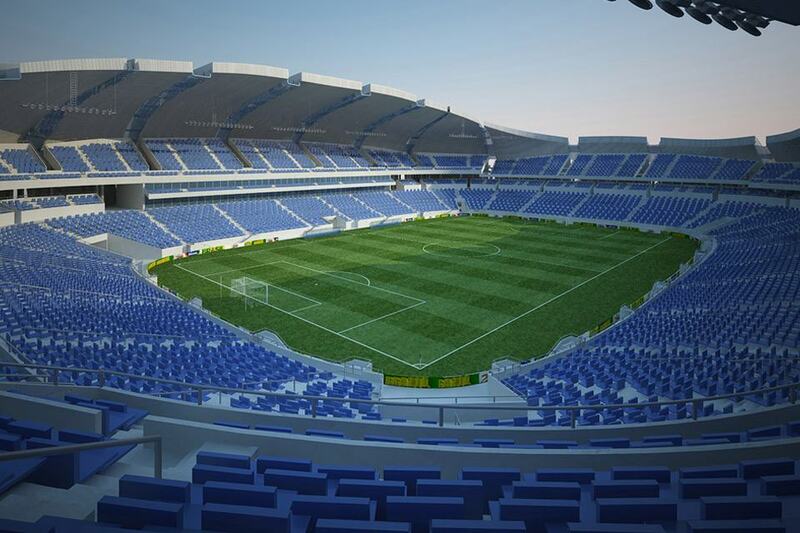 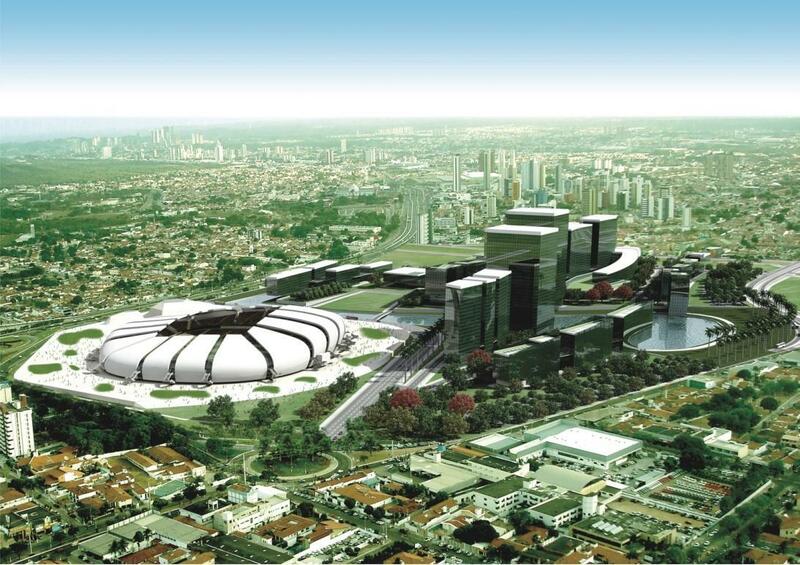 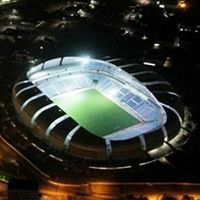 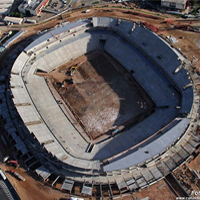 06.06.2013 Brazil: New stadium in Natal to be ready in late 2013? 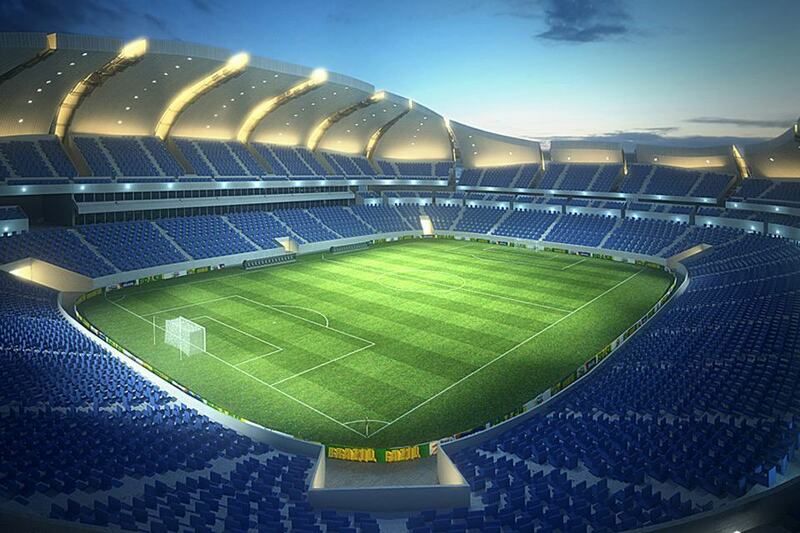 Despite over 1,800 workers on site, works are still behind schedule. 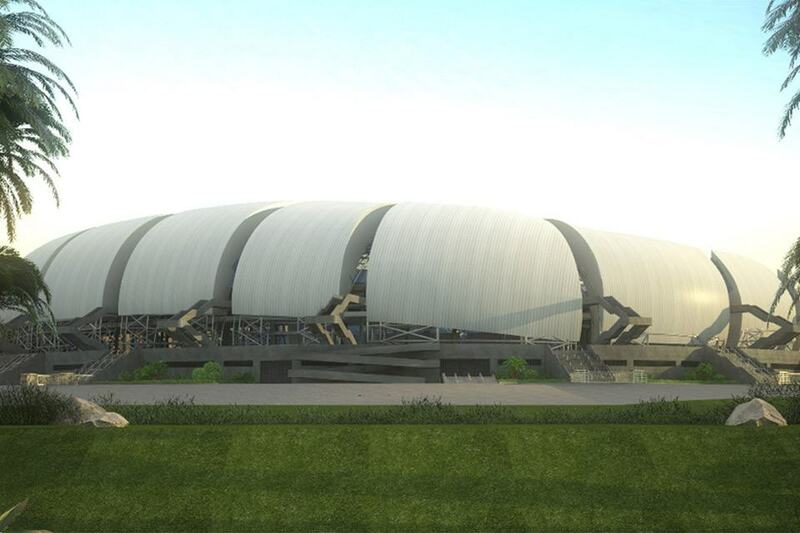 The concrete shell is ready, now temporary sections, roof and pitch are to be done. 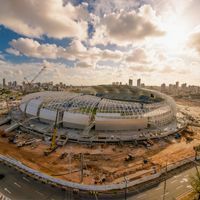 Will the contractors manage to deliver their build in half a year? 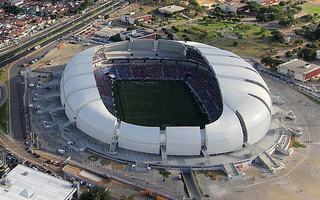 Construction of Arena das Dunas began as the last one for 2014 World Cup. 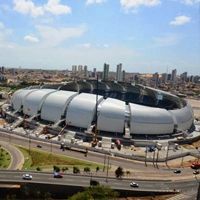 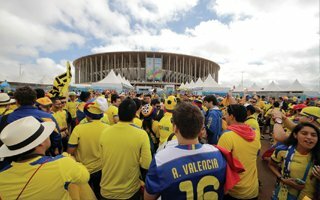 Now FIFA claims the building is behind schedule and needs constant monitoring to assure completion on time – Copa.gov.br reports.